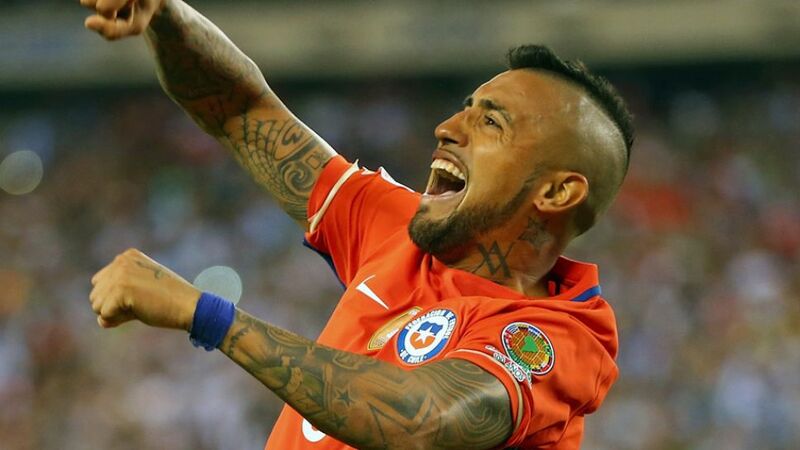 Bundesliga trio Arturo Vidal, Charles Aranguiz and Eduardo Vargas helped Chile retain the Copa America title they won last year after overcoming Argentina 4-2 in a penalty shootout in Sunday's final. All three of La Roja's Bundesliga representatives started for the defending champions, but it was Argentina who got off to the better start, eager to avenge defeat in last year's final against Chile and end a 23-year wait for a major trophy. Gonzalo Higuain had the first clear chance but fired wide when through one-on-one with Chile goalkeeper Claudio Bravo. A feisty first half came to an end with both teams down to ten men, as former Hamburger SV midfielder Marcelo Diaz was sent off for two clumsy fouls on Lionel Messi, before Marcos Rojo was expelled for a dangerous tackle on Vidal. Relive Chile star Charles Aranguiz' first season in the Bundesliga with Bayer 04 Leverkusen.